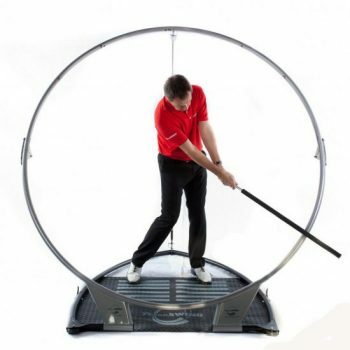 The GolfGym PowerSwing Trainer Strengthens all of the Golf Specific Muscles in Your Swing. It is Easy to Use and IT WORKS in just 3 minutes a day. SEE THE 3 MINUTE WORKOUTS! Put POWER In Your SWING! Develop a More Powerful Golf Swing! Add Distance and Power! Easy to Use at Home, While Traveling or at the Practice Range! and the benefits that can be derived from regular use. 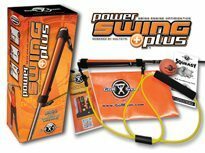 GolfGym PowerSwing Trainer Personal Edition is a complete training kit containing a Right Handed Training Grip or Straight Grip with Personal Resistance PowerCord, instruction booklet, and carry bag. 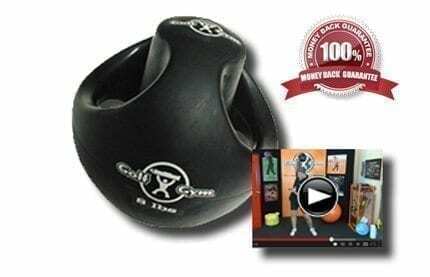 This is designed for the golfer looking for the finest in golf-specific training and conditioning for use in-season and off-season. Unsure which resistance cord to order? Click Here! “I own and use the PowerSwing Trainer daily. As a 57 year old golfer, fitness is essential to maintain and improve my golf game”. 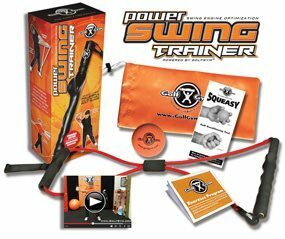 “My fitness trainer (who has a 1.6 index) recommended that I purchase and use a GolfGym Powerswing. I have had two shoulder surgeries in the past and no longer lift weights. My objective was to increase my endurance and improve my golf game. The GolfGym is great device. 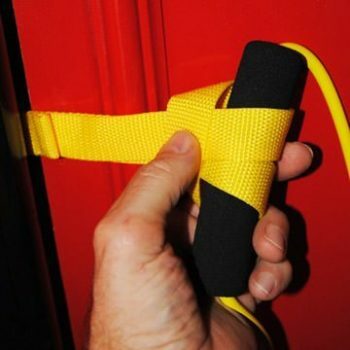 The Master’s Edition contains a golf club training grip and 3 resistance bands (light, medium and heavy). Within 2 weeks of steady use I have noticed that my endurance has improved and I am rotating around my back leg rather than swaying. I also feel strong late in the round when I normally start getting sloppy. My index has dropped from a 12.9 to an 11.7 (and getting lower). I attribute this to the GolfGym and a walking/jogging program. After 4 or 5 weeks of using the light (yellow) band I moved up to the medium (red) band. My workout includes a full power swing, a power turn (both feet) an external rotation (both sides) and a two-handed overhead pull. The manual includes decent diagrams for these and other exercises. all the PGA Tour Fitness Trailers.